Williams-Sonoma, a favorite longtime culinary resource, is celebrating smoothie week this week! Smoothies are perfect for busy, hungry, or impatient people, because they’re easy to make in a hurry, they fill you up with creamy goodness, and they can be as decadent or as healthful as you like. 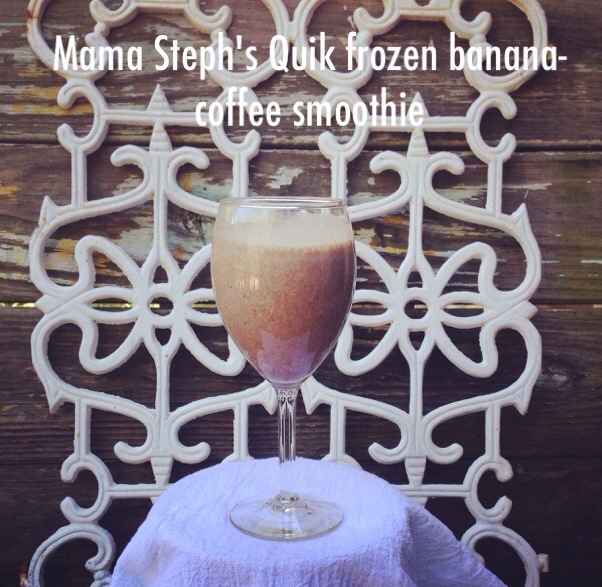 I often enjoy being creative and making up new smoothie recipes in my kitchen. On Saturday, for instance, after a busy week at work, I was dragging, but there was a sea of chores waiting to be done around the house: laundry, vacuuming, dog washing, and the like. The couch, though, was calling out my name. I made a good decision, though, which was to get into the kitchen and try to whip up something delicious in my blender to boost my energy and get me moving. 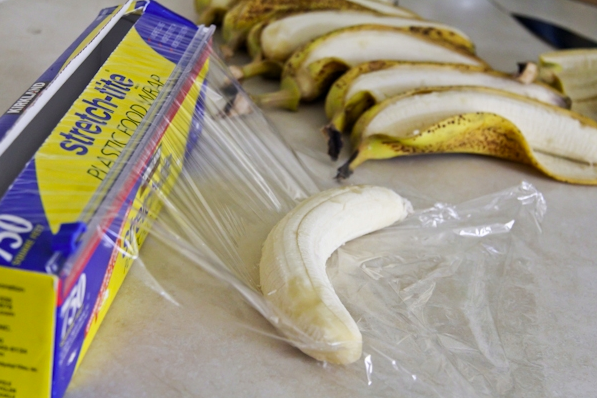 Since I hadn’t been grocery shopping in a week, I had to improvise with whatever I could find around the kitchen, and when I pulled some peeled bananas out of the freezer, I felt like a culinary genius. What foresight! I had some coffee in the pot, nice and cool since it had shut itself off hours ago when my husband and I had continued to hit the snooze button on our phones. There was the caffeine jolt I needed for my smoothie! I had milk. Because I’m a mom and moms keep milk in the fridge. I had some plain Greek yogurt, which I love to use for so many things. It’s versatile and gives a nice protein boost to the day. I considered scrapping the whole smoothie idea and going in my yoga pants to the drive-thru for a latte, but then a yellow container on the shelf caught my eye. You know the container, the one with the little brown bunny wearing a sweater? The one that you never touch but your husband and kids can’t live without? That one. The sugary, powdery, sweet chocolate-y mixture that makes the perfect, oh-so-bad chocolate milk happen. I grabbed it. What could it hurt? The food police were probably out taking a morning run, anyway. They’d never know. I slipped a few tablespoons of the mix into my blender jar, and mixed all the ingredients together, hoping I hadn’t wasted my time and ingredients on a risky recipe. I hadn’t. This smoothie was great! It had a great coffee-chocolate flavor balance, the banana and yogurt added a rich, creamy texture, and the milk made it just liquid enough to slip tantalizingly up the straw! Ahhh. Success. Put ingredients into blender jar in the order stated above, beginning with milk and ending with coffee. Blend until mixture is smooth and creamy. Taste for sweetness, and your favorite sweetener, a little at a time, until desired sweetness is reached, if needed. Pour your smoothie into a pretty glass and find a quiet, cozy corner to sip it in; when the caffeine and protein kick in, you’ll be ready to tackle whatever lies ahead in your day. 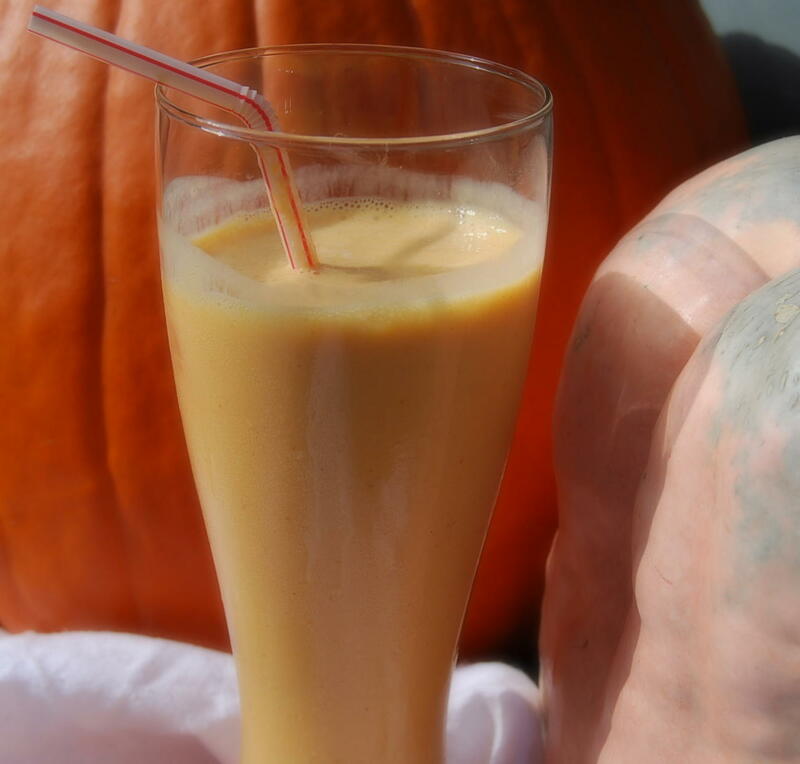 You might also like my Pumpkin-lover’s Smoothie! So easy to make and tastes a bit like pumpkin pie. Yum! See more smoothie recipes on Williams-Sonoma’s blog, Taste.